If you’re the type of girl who is all about the lashes, and you’re thinking about getting lash extensions – or maybe you’ve already got them! – then you’ll want to know everything about how you can maintain your lashes so they can look gorgeous for as long as possible. And while there are a lot of different things you can do to keep them looking fresh and beautiful, today we want to focus on a very important step – cleaning. By that, we mainly mean taking makeup off in a way that doesn’t damage them and with a lash extension cleanser that won’t affect them. You wouldn’t believe what a difference it can make when you have the right technique and aren’t using harsh products that work against the well-being of your extensions. Keep in mind that cleaning is something you do every single day so if you can get this part of lash extension care right – your extensions will last a lot longer than the average gal’s. So let’s get right into the nitty gritty of how to clean eyelash extensions. The first thing you want to keep in mind is that while they certainly look beautiful and may be low-maintenance from some points of view, eyelash extensions are also a bit more vulnerable to certain elements and steps in your beauty routine, and removing makeup is one of them. Your makeup remover is a big part of what makes the cleaning process good or bad for your lashes, and we’ll talk about it more in-depth in the following sections. For now, know that a nice, lightweight makeup remover like a micellar water makes the perfect eyelash extension cleanser, and we’ll discuss why. The actual movements you use and how much pressure are also very important. You should avoid pulling, rubbing, and scrubbing at all cost. You know how when waterproof mascara is particularly stubborn, you go to town with the makeup wipes or flannels and really get in there at the root of your lashes? That is exactly what’s going to kill your extensions. Instead of going hard on them a) avoid waterproof products and thick products that are difficult to remove – instead, use a mascara that’s safe for lash extensions, and b) make sure to be as gentle as possible on them. That means soaking a cotton pad in makeup remover and just gently pressing, instead of pulling or rubbing. 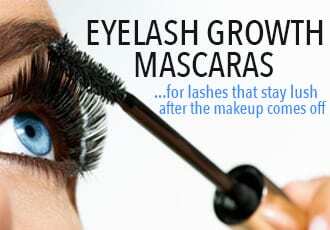 Basically, you want to avoid pulling the lashes out, or loosening the glue in any way. Using smaller, more delicate tools is also a good idea. For example, if you’re wearing eyeliner, we recommend taking a cotton bud and soaking it in makeup remover. Then, you can trace that along your lash line in order to take off the product, instead of rubbing with a larger cotton pad. That’s going to allow you to be more precise in your movements, and avoid pulling on your lashes unnecessarily. Once you’re finished cleaning makeup off your lash extensions, you will also want to make sure that you are getting your extensions back to their initial shape and state. Take a clean, dry spoolie and brush through them a few times in order to make sure that they are properly separated and that they return to their normal shape. This needs to be done before bed, and in the morning, after you wake up, to avoid them getting tangled, bend, or just generally misshapen. Okay, so what should you be looking for in an ideal eyelash extension cleanser to minimize damage and ensure your fluttery friends last for ages? The first and possibly most important rule is to only use an oil free makeup remover for eyelash extensions. Why? 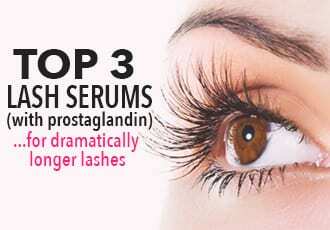 The problem with oil is that it affects the glue that is used to fix your lash extensions. That means that you can’t use an oil as makeup remover (and yes, that includes oil-based makeup removers) and you can’t use products that contain oils. Otherwise, you run the risk of damaging your extensions. The other thing to keep in mind is that while we all love a makeup remover that takes everything off, if it’s too harsh, then it’s going to affect the health of your lashes and your extensions. Super stripping removers can severely dehydrate your lashes and extensions and leave them dry. Ideally, your makeup remover should be liquid or creamy, so you can soak your cotton bud or cotton pad and gently remove your makeup. If it’s something like a makeup wipe (which isn’t recommended, anyway, extensions or not), then there is not enough removing solution and you are forced to scrub at your eyes to get all the product off. That is terrible for your real lashes, and even worse for your extensions, so please stay away from wipes. So What’s the Best Eyelash Extension Cleanser? Okay, so now that we know what NOT to use, what is the best cleanser to use with lash extensions? Here’s a little roundup of our favorites! Let’s start with the budget option – if it ain’t broke, don’t fix it. 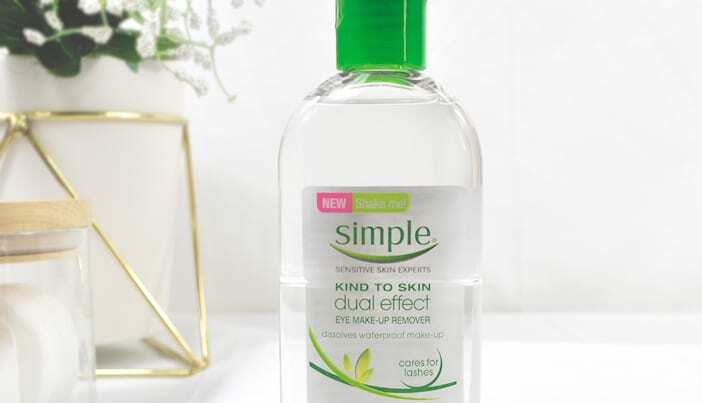 Simple is one of the leading brands when it comes to makeup removers and while their wipes are a no-no in this particular instance, their liquid remover is excellent! Plus, you can’t beat the price, making this the best makeup remover for eyelash extensions if you’re on a budget. 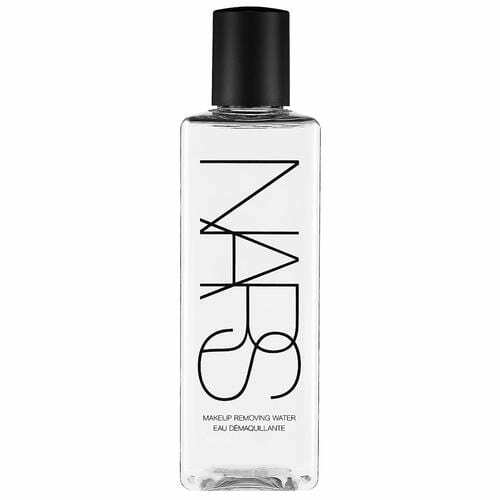 On the significantly pricier end, we’ve got a somewhat luxury-tier makeup remover from NARS. Apparently makeup artists swear by this stuff, so you know it’s good. No icky stuff in it, no oils, no alcohol – the name is literally makeup removing “water”, so it’s super safe for your expensive extensions. The only downside is that it’s pricey but if you can afford a little luxury, this stuff is hands down the best oil free makeup remover for eyelash extensions. 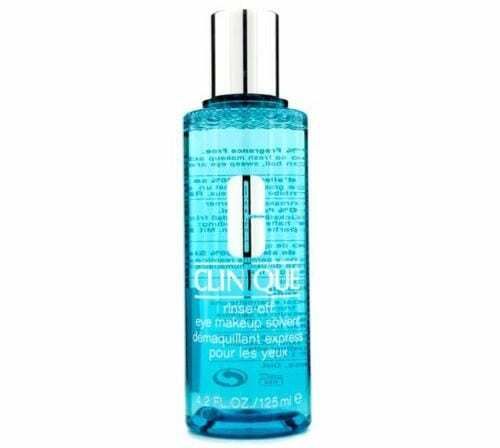 Popular wisdom says you can’t go wrong with Clinique – your mother used it, your grandma used it, and you’ll probably use it now. Coming in at a medium tier price-wise, Clinique is well-known for their gentle products and focus on skincare, so you can trust this to be good for your eyes, skin, and lashes. Extensions may be low-maintenance, but that doesn’t mean you don’t need to take care of them! 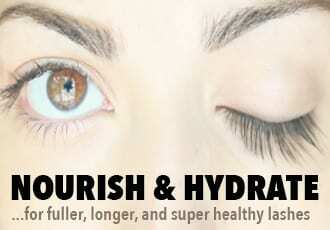 Just keep these tips in mind, and the cleaning process will be easier and will maintain your lashes for longer.